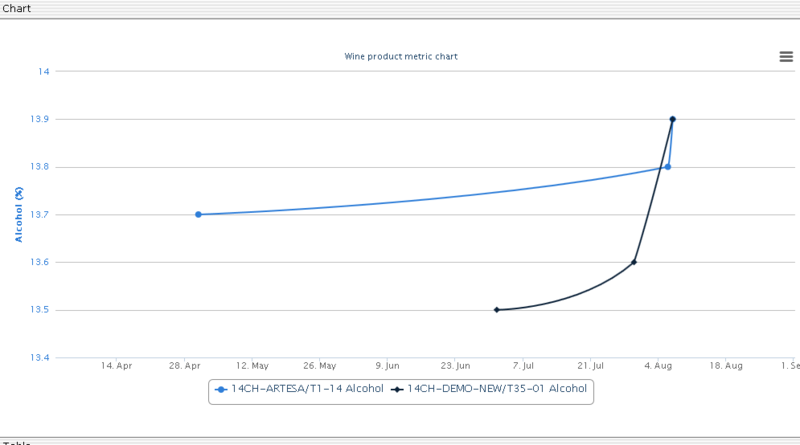 In version 4 you now have the ability to graph multiple lots of wine for multiple metrics on the one chart. There are two different ways that this can be achieved. The first being from the Product Search. Select the lots you would like to graph and hit the Chart button and select the date range and metrics you require. This will then provide you with a chart similar to the one below where I have graphed the results of alcohol analyses for two separate lots. The second method to generate these charts is via the Ferment Console in much the same way. 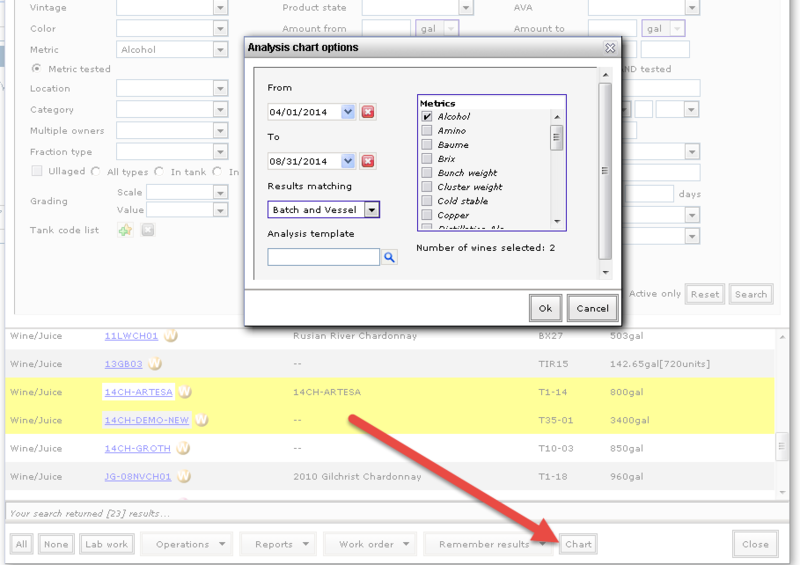 Simply select the lots from the console click the Chart button at the bottom right and enter your desired parameters.